In 1960s the test kitchen, now led by June Packard, the Home Economics department staff was busy answering more than 150,000 letters they received every year. Field staff from the Home Economics department traveled widely to spread the word about Pyrex. One field agent might travel as many as 200,000 miles a year promoting Corning products. Corning also introduced four Pyrex casserole server sets with a walnut tray base in the 1960s. Traditional opalware patterns such as White Golden Acorn, Berries, and Rainbow Stripes continued to be popular and more than 69 new patterns were introduced during the decade. 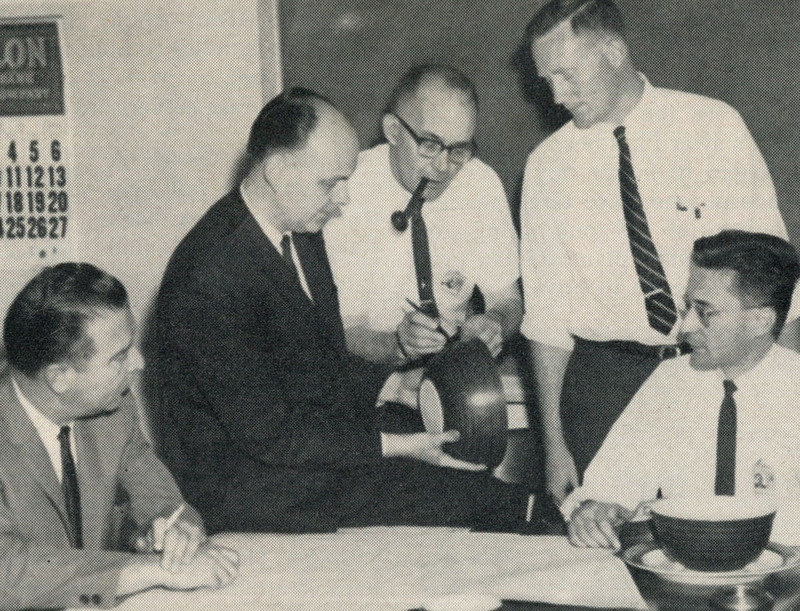 Engineers responsible for development of the Terra line at Corning’s Charleroi, Pennsylvania plant. Corning Gaffer, September 1964. The back-to-the-land movement of the 1960s and 70s with its peasant blouses, beards and beads, macramé, and patched jeans brought a new popularity to the style of the natural look. To meet consumer demand Corning developed Terra, a line of cookware and serving items designed to mimic pottery. Corning designer William Curtis began by researching successful products in other fields. He found one feature they all had in common—texture. Terra, introduced in 1964, designed by William Curtis. 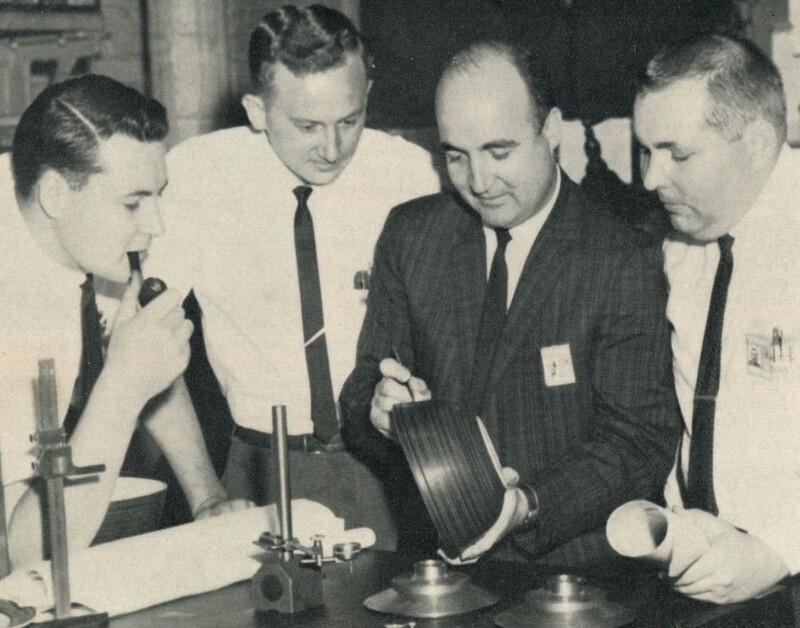 Over the next few years, engineers at Corning’s Charleroi, Pennsylvania plant worked to develop a process to produce the Terra line, creating a unique earthenware, textured look. A totally new and difficult manufacturing method was required. Creating the Terra design involved two applications of color, one firing and something called an automatic scratching machine. The productions costs were high, and in turn consumer pricing was high, leading to a short run of the line. Although William Curtis won an Industrial Designers Institute award for Terra, the design was only on the market for one year. 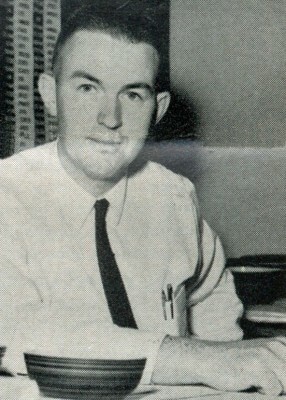 Terra designer William Curtis, Corning Gaffer, September 1964.